The Big Picture (from the Boston Globe) has a series of stunning photographs of the Large Hadron Collider, about to go into business! If you don’t know what the LHC is or what it does, you should definitely watch this amazing and short TED talk by Brian Cox. 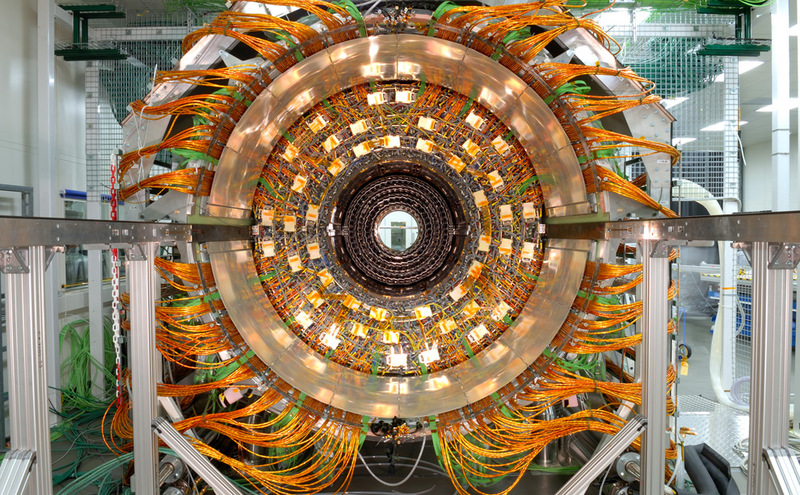 Even though I doubt I’ll get to see this machine in person, I was given the opportunity to visit the KEK (the National Laboratory for High Energy Physics) in Japan in the Summer of 2006. Because it was summer, and it was too expensive in the summer months to run the monster, I got to take a tour of the belly of the beast, and it was stunning. I wish I were an expert on Particle Physics. In fact, I wanted to write my dissertation on the history of particle physics (somewhere in the time period from the 1940s to the 1970s). But alas! I think I shall always have to sit on the sidelines, heroicizing while remaining ever befuddled. A picture of me in the KEK wearing a hardhat and grinning uncontrollably? Priceless. ← A mind boggling maximization problem!